Hello, it’s Faith from An Edible Mosaic! Brandy and I are absolutely thrilled that our favorite time of the year is upon us again…and we can’t wait to see some of your favorite recipes for this time of year! I love chocolate and mint together but for some reason I always think of it as a holiday combination, so I don’t really eat it any other time of the year (except in mint chocolate chip ice cream, which is of course delicious year round!). Preheat oven to 350F; line 2 baking sheets with parchment paper or silpat liners. In a large bowl, whisk together flour, sugar, baking soda, salt, and cocoa powder. Make 3 wells in the mixture and to each separate well add the vanilla, vinegar, and oil. Use a wooden spoon to stir together, then stir in the water. (Batter will be thick and sticky.) Drop slightly heaping tablespoonfuls of batter (this is easiest to do using a 1 1/2 TB ice cream scoop) onto prepared baking sheets, leaving about 2 inches between each cookie. Bake 10-12 minutes (exactly 11 minutes was spot-on for my oven), rotating pans once about halfway through. Let cookies cool slightly on the trays, then use a spatula to gently transfer them to a cooling rack to finish cooling completely. In a large bowl, use an electric mixer to beat butter until light and creamy; mix in salt, peppermint extract, and a few drops green food coloring (to reach your desired shade of green). Gradually beat in powdered sugar, then beat in fluff. 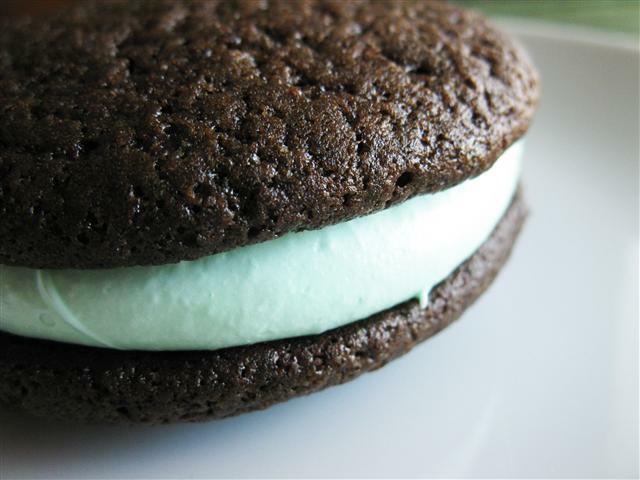 To make whoopie pies, once cookies are cool, pipe or spoon some frosting onto the bottom of half the cookies, then top with the remaining cookies to form sandwiches. I also usually save the mint-chocolate combo for holidays. My hubby would be all over these! I just read your “about” page and am loving this blog idea! 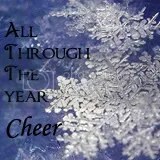 I wish I had a holiday recipe to submit to you gals, but we don’t celebrate holidays with traditional holiday food. If I do come up with some I’ll surely come back and support you guys. I love people who are creative and have fun with blogging like this. Great idea ladies!!! Faith, I love the flavor combo of your whoopie pies! I’ve only recently heard of these when my friend brought them over to my house for us when we invited her and her hubby over. Boy oh boy were they delicious. Yours look so fluffy and delicious, and are screaming “eat me!! !”, which I would have no troubles doing. Thanks for the recipe, dear! Faith , I am in love this that frosting. awesome pies. Sorry, meant to say, they LOOK amazing! 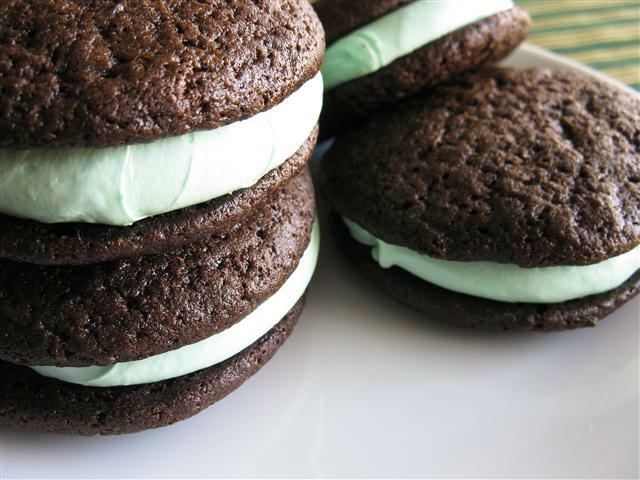 And a delicious combo of mint and chocolate! Love it! These are positively delectable Faith! The flavor combo is classic Christmas – one my family loves. I could picture them descending on these and devouring them in a matter of minutes.